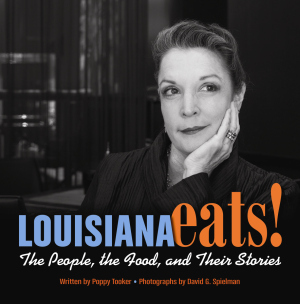 A native New Orleanian, Poppy Tooker is passionate about food and the people who make it. She hosts the popular weekly radio show Louisiana Eats! From which this book originates. From the transcripts of fifteen one-on-one interviews featuring specialists of iconic Louisiana foods, Tooker introduces the reader to the stories behind the everyday foods that make culinary history. Consider, for instance, the astonishing red bean, cooked fresh instead of dried and grown from the Camellia red bean with its own USDA standard. Red-bean lore goes one step further: the family who created Camellia Brand® Beans is the source of the signature Zulu coconut throw. Fascinating stories on traditional foods and the people who preserve them for future generations grace the pages of this delightful book peppered with Tooker’s signature joie de vivre. Each intriguing essay features recipes that showcase these culinary treasures and a photo of the personalities behind the engaging anecdotes. Poppy Tooker is passionate about food and the people who make it. 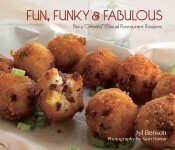 Tooker hosts the popular weekly radio show Louisiana Eats!. Her classical training and love of New Orleans cuisine has been recognized globally through her participation in various documentary projects, and she competed on Throwdown with Bobby Flay, where her seafood gumbo was deemed the better of the two. The International Association of Cooking Professionals has recognized Tooker with their first Community Service Award, and Southern Living magazine named her a Hero of the New South. A writer for many publications, Tooker informs readers on the importance of reviving foods that are pivotal to the Louisiana and New Orleans culture. Her first book, The Crescent City Farmers Market Cookbook, received a Tabasco Cookbook award and was named Cookbook of the Year by New Orleans Magazine. Tooker lives and cooks in New Orleans. David G. Spielman is a well-known photographer and writer. His long and successful career has included photography shoots on six of the seven continents and dynamic art showings of his works in prestigious galleries across the country. His revealing portraits of musicians are collected in When Not Performing, published by Pelican. He calls New Orleans home.